Throughout my growing up years, my father and grandfather farmed together in Michigan’s Lapeer County. They were both full-time farmers until the mid-1950s when dad began working elsewhere. 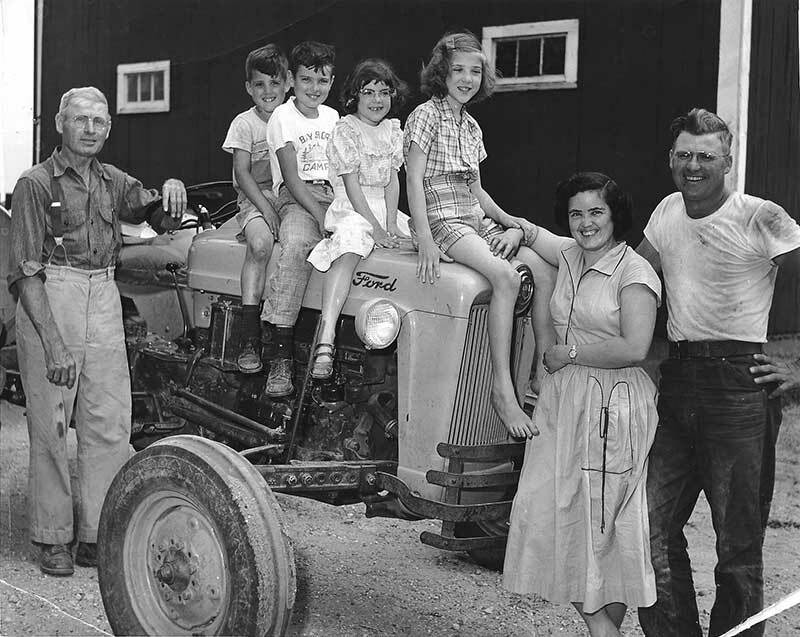 Our 160-acre family farm included milk cows, hogs, sheep and chickens with all the basic crops—hay, corn, wheat and oats. The fields, livestock and garden provided almost all the food we needed and cash for everything else. As children we each had our chores, so my brother and I fed the chickens and gathered the eggs. Our one-room school was at the corner of the farm. By the age of 10, I drove the tractors and in my teen years worked the fields. Our milk was sold through a cooperative dairy. Feed and fertilizer were purchased through the farm co-op. Grandpa owned stock in the regional electric company. Neighbors worked together during seasons of harvesting. In this way I learned the very early value of living and working together with mutual respect and partnership, both within the family and the community, values I continue to hold highly in our day.